This season we have been overwhelmed by the amount of love & support we have received from many influential, strong, independent women who have helped share the brand. If you are like us then you love scrolling through style bloggers on instagram and making wish lists of items you want, new brands to watch out for and falling in love with new styles. Here are some of our top selections from our favourite instagram bloggers. We are in love with Swedish blogger Anna’s laid back bohemian summer style. From her instagram feed to her blog posts you can be sure to find inspiration for you to interpret into your own style. 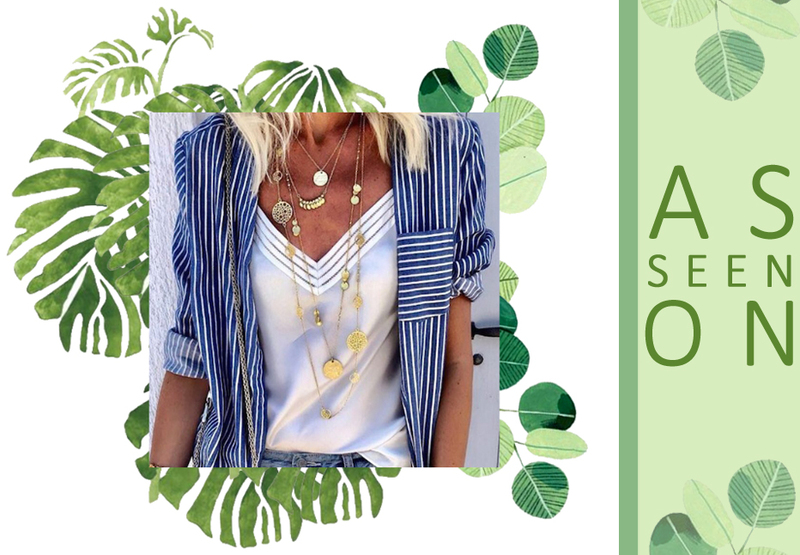 Anna has been a big supporter of Ashiana for many years after she met a friend who was wearing one of our original coin necklace styles (The Alena Necklace) and she had to have it! From then we have loved seeing how Anna styles our pieces and we look forward to seeing future seasons styled in her gorgeous pictures, from Santorini to Germany and around the globe! Below Anna wears the Greek Island Necklace, a new classic for the Ashiana collection which has fast become a best selling style! Yummy Mummy Chloe Sawmill-Smith is a fashion loving Mum of three, blogging about her love for clothes, interiors, children's fashion, fitness, beauty and travel. Her cool and practical posts are perfect to grab some fashion styling for London Mums on the go living in the city! We also recommend watching her instagram stories which are down to earth and insightful for a fashion Mum of three! Below Chloe wears the Camilla Earrings, which you can now find in our summer sale! 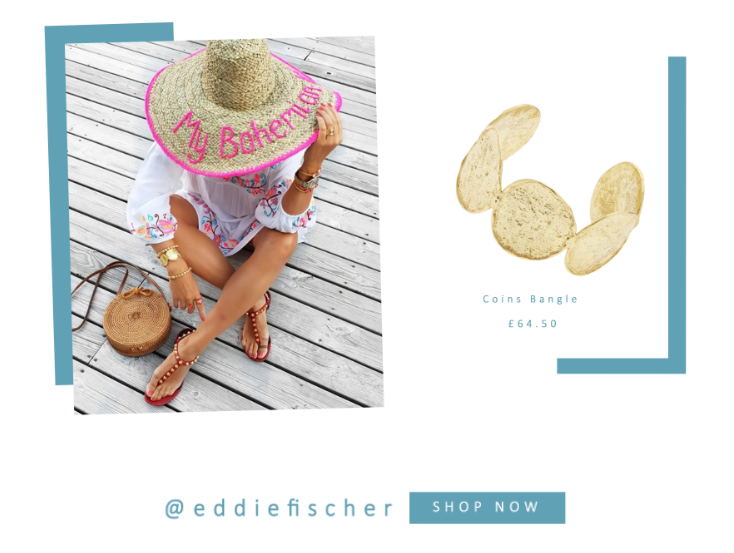 Eddie’s instagram and blog is new to us at Ashiana, but now we are big fans of this Swedish Mum of one's blog & instagram feed. Feel inspired by her love for beautiful objects, in both fashion and decor, food, fashion and flowers. Below Eddie wears the Coin Bangle in gold, a statement cuff from our classic collection! Spotted by Anastasia, (Ashiana’s founder & creative director) Jane is a fashion and interiors loving Mum of two living in Kent. Her passion is fashion which comes across in her instagram and her posts on her blog. Below Jane wears the Alena Necklace, a classic Ashiana style as seen on many celebrities including Elle Macpherson & Abbey Clancy! Tina from Austria is a sporty Mum of two who’s instagram is full of fashion, lifestyle and travel. She doesn’t have a blog however her instagram gives you enough browsing wanderlust to plan your next trip to the lakes of Gmunden, Austria. Below Tina wears the La Concha Earrings, a classic Ashiana style which is also a favourite in the Ashiana head office. Hayley is a style blogger living in the English countryside. 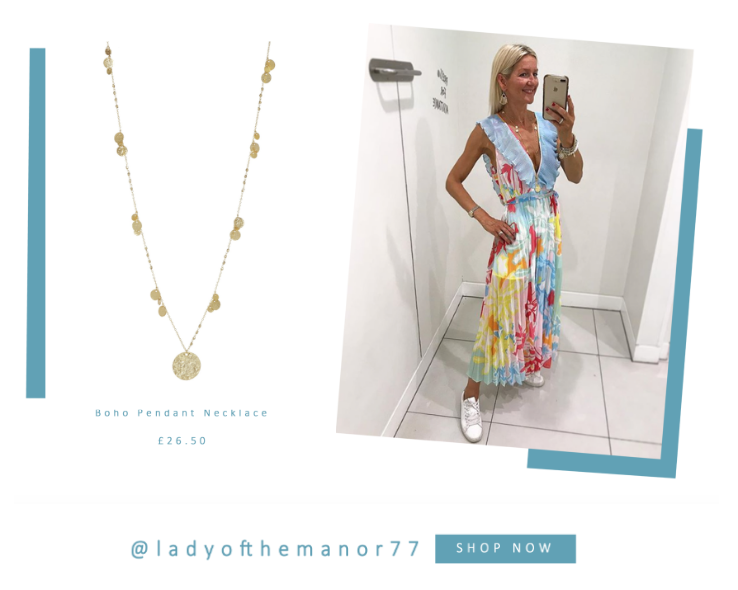 She is a Mum of two sharing her favourite looks from the highstreet. Follow her for the perfect styling tips of how to style your accessories to her best finds on the highstreet. Below Hayley wears the best selling Boho Pendant Necklace, a sell out style we keep restocking!